Don’t let Minnesota’s frigid winter weather leave your comfort out in the cold. Instead, trust the team at Krinkie’s Heating & Air to melt away your winter worries—for good. With our dependable heating system installations, swift unit repairs and thorough maintenance services, we guarantee you’ll be cozy and warm all winter long. Summer’s arrival brings about hotter temperatures in Minnesota. But don’t let this sizzling heat cause you (or your home) to lose your cool. Instead, allow our team’s industry expertise and trustworthy AC installations, repairs and maintenance services to help you beat the heat for chilled relief. A healthy indoor environment isn’t an option; it’s a necessity. As a responsible homeowner, you want to remove harmful contaminants that threaten your indoor air quality. Krinkie’s Heating & Air can help. Our powerful and effective indoor air quality solutions and superior services certify a deep breath of fresh air every time. 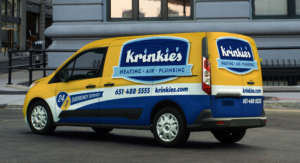 At Krinkie’s Heating & Air, our hot deals, cool discounts and flexible financing options will allow you to reach total comfort at a more budget-friendly price. * To redeem, coupon must be printed, or like our Facebook page. Cannot be combined with other offers. Your source for HVAC & plumbing news, expert advices and more. Which Way Do the AC Winds Blow? At Krinkie’s Heating & Air, providing expert home comfort solutions for Minnesota homeowners isn’t an option—it’s a promise. 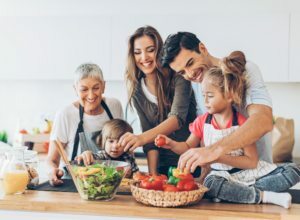 From our warm and reliable heating services to our cool and dependable air conditioning services, you can count on our certified technicians to help you attain and maintain total home comfort—no matter what Mother Nature throws your way. © 2019 Krinkie’s Heating & Air. Site by KickCharge Creative.